Homecoming at KU is a tradition unlike any other! 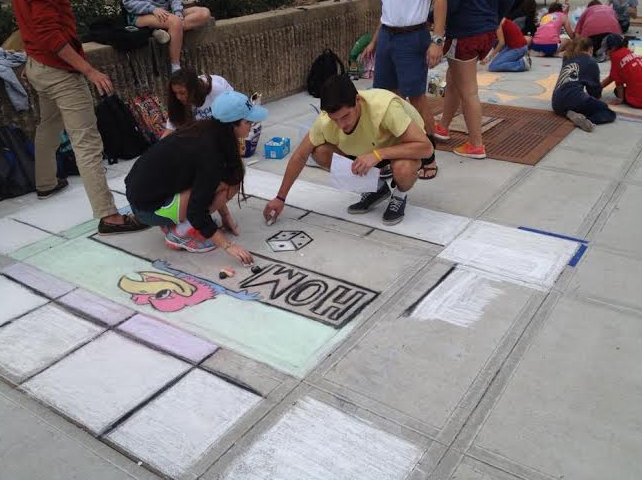 This year, Delta Chi and Kappa Kappa Gamma teamed up to compete in all the events Homecoming has to offer. Every night during this week members of the Kappa Kappa Gamma sorority came the Delta Chi chapter house to work on the projects at hand. From building a float, to creating chalk murals, to decorating the house with Christmas lights, everyone was busy and hard at work. 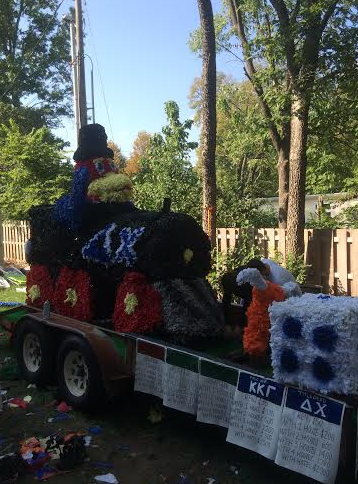 While Delta Chi and Kappa Kappa Gamma did not win homecoming, everyone had a great time and is looking forward to participating again next year.